후박나무는 녹나무과에 속하며 제주도와 울릉도 등 따뜻한 남쪽 섬지방에서 자라는 늘 푸른 나무로 일본, 대만 및 중국 남쪽에도 분포하고 있다. 주로 해안을 따라 자라며 껍질과 열매는 약재로 쓰인다. 나무가 웅장한 맛을 주고 아름다워서 정원수, 공원수 등에 이용되고 바람을 막기 위한 방풍용으로도 심어지고 있다. 진도 관매리의 후박나무는 2그루가 나란히 생립하고 있는 상태인데, 나이는 약 300살 정도이며, 높이는 17m로 같고, 가슴둘레의 높이는 각각 3.72m, 3.76m이다. 이 수목은 서낭림으로 보호되어 오고 있으며, 매년 정초에 마을에서 선출된 제주가 치성을 들이고 있다. 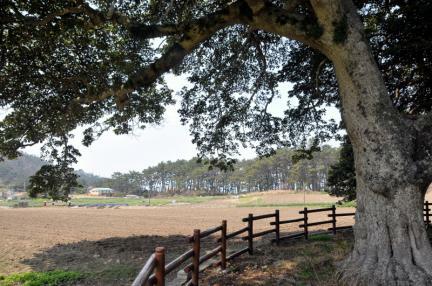 선출된 제주는 치성을 들이기 3일 전부터 서낭당 안에서 지내며, 제사 당일 부락민의 농악소리에 맞추어서 당에서 나온다고 한다. 진도 관매리의 후박나무는 오랜 세월동안 조상들의 관심과 보살핌 가운데 살아온 문화적 자료로서의 가치뿐만 아니라 생물학적 보존가치도 크므로 천연기념물로 지정·보호하고 있다. The Machilus grows in warm places. 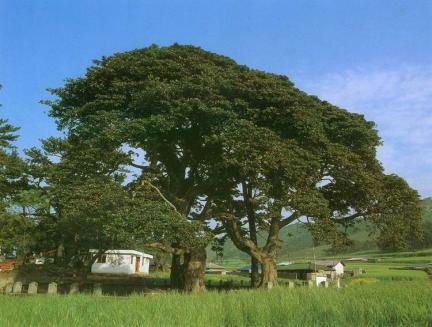 It grows in Japan and Taiwan and on Ulleungdo Island and south islands of Korea. 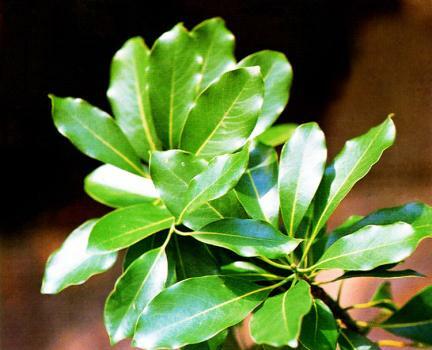 The bark of the Machilus is used as medicine for stomachache. 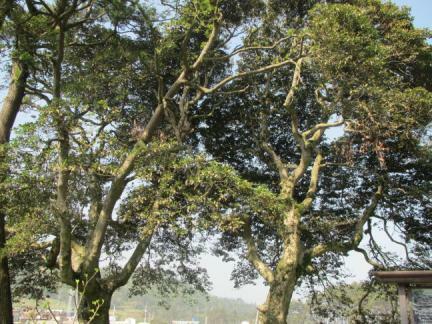 Magnificent and beautiful, the Magnolia is planted in the garden or in the park. 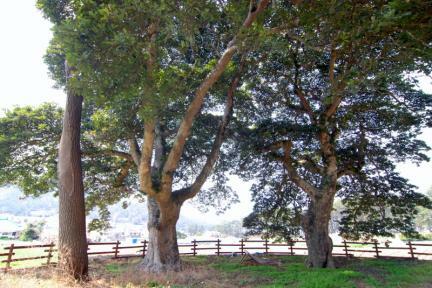 In addition, this tree is often planted as windbreak. 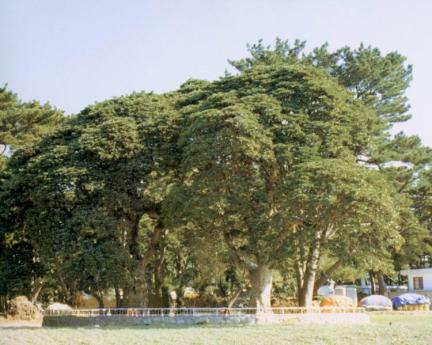 The Machilus in Gwanmae-ri, Jindo Island is growing thickly with Japanese elm trees and Japanese black pines, with height of about 17m and girth of approximately 3.72m. The villagers perform a ceremony in the Machilus forest for peace and prosperity every January. 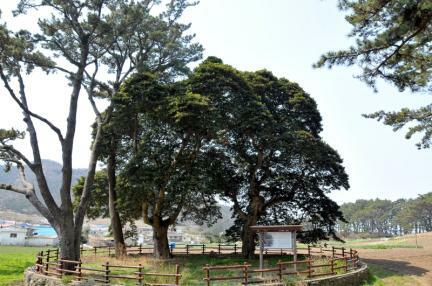 The Machilus in Gwanmae-ri, Jindo has been kept well for a long time. 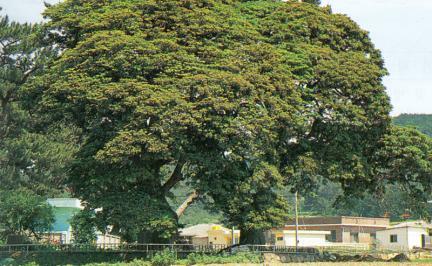 Biologically valuable, it is designated and protected as a natural monument.